What is the Concerta2 M16? How was the Revel tested? 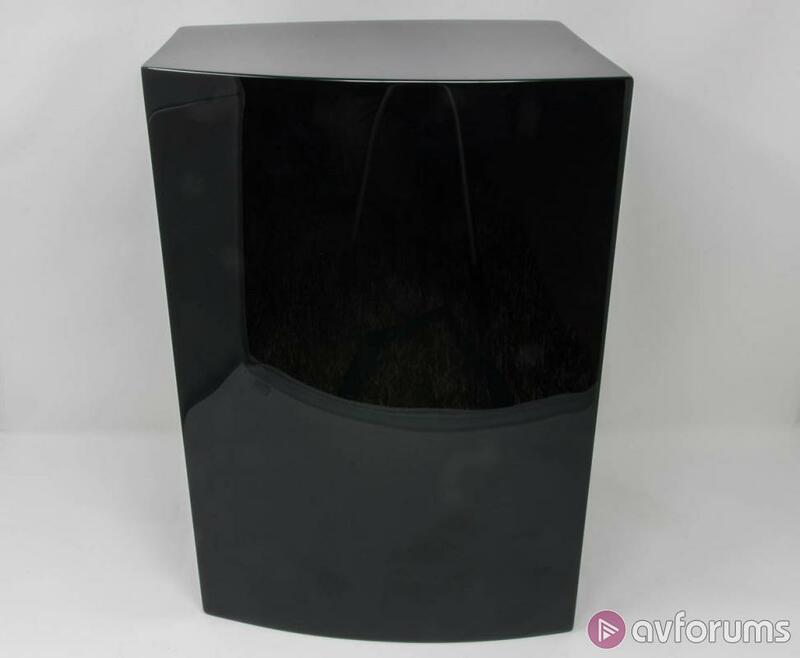 The Revel Concerta2 M16 is a two way standmount speaker that pitches into the very competitive £1,000 speaker market. The design is outwardly conventional and, in some regards this is a surprise. Revel is an American brand and that usually means that each brand comes with a distinctive calling card, be it the Planar Magnetic arrangements of Magnepan, the dipoles of Vandersteen or the obsessive attention to detail that marks out a Wilson. The Revel by contrast looks like something that could just as easily be a European design - which, given where the bulk of people reading this live, might not be a bad thing. Revel is now part of the considerable grouping of product that forms the impressively named Harman Luxury Audio Group. This also includes Mark Levinson, Lexicon, JBL, Harman Kardon, AKG and Arcam and this large (by the standards of Hi-Fi anyway) group is in turn owned by Samsung. Revel seems to have been issued the challenge of making speakers that can complement this considerable selection of electronics brands, leaving JBL to get on with the business of being JBL. Does this mean that the M16 is a flexible friend to many an amp or a speaker struggling to exert its own identity? 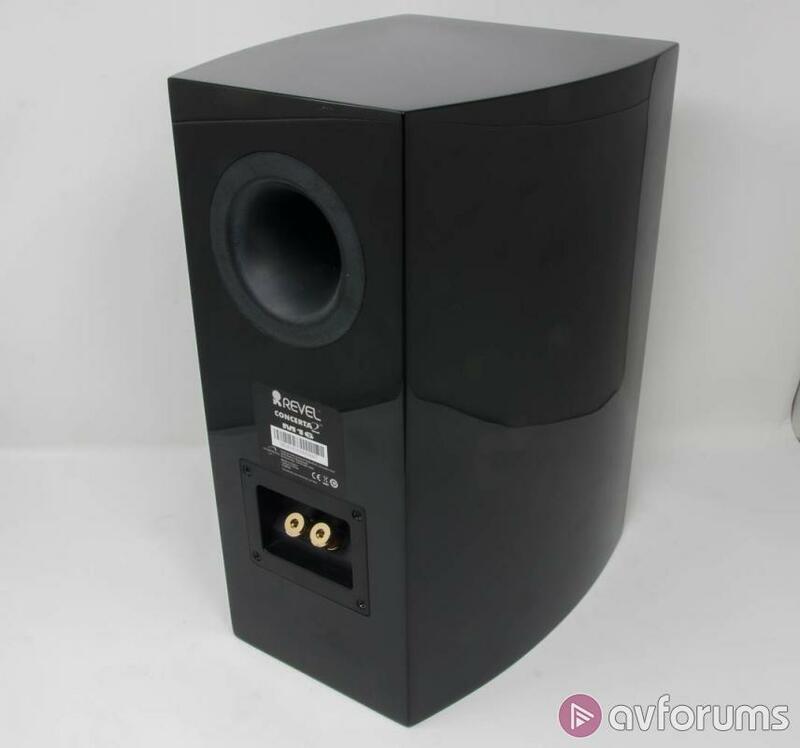 The M16 is part of the Concerta 2 series of speakers and is one of three stereo models - the other two being rather larger floorstanding models. Those of you of a multichannel persuasion will be pleased to note that this range also includes a centre, a dedicated surround and a subwoofer. There is no effects speaker but as they are an American brand, Revel has got in-ceiling and in-wall speakers for every occasion so you are likely to be well covered there too. The two drivers in use in the M16 are less spectacular in construction than some of the more expensive models, where things like Beryllium can be found lurking. They are in themselves quite unusual at the price point though. Revel uses aluminium for both the tweeter and the midrange and has been doing this for quite some time. Materials for drivers seem to go in and out of fashion over a period of about ten to twelve years with the added joker of material science suddenly making things that were once expensive become rather more affordable (look out for graphene in the next few years). At the moment, metal - particularly for midrange and bass drivers is a little out of fashion. There are arguments, both technical and subjective, that aluminium induces its own particular colourations into audible performance but these are no less pronounced than some rather more fashionable materials in use at the moment - carbon weave, I’m looking at you. In the case of the M16, the driver is a one piece design, 6.5 inches across with an integral dust cap. The tweeter is also aluminium and is the type standard 1 inch across. With Revel, what is more notable is not the tweeter itself but the means by which it is placed in the cabinet. Revel is a big advocate of the use of waveguides to improve the on and off axis response of the tweeter and the one that is featured in the M16 is patented which suggests that the shape, while also rather aesthetically pleasing, has a wider purpose. A minor but welcome detail is the inclusion of a small tweeter guard that means that running grills off with a toddler around should be a less nerve wracking experience. Revel makes considerable play that the placement of these two drivers, their crossover characteristics and the relationship are all the result of considerable computer modelling. The port itself is also noteworthy. It features something called Constant Pressure Gradient Design (US Patent US7711134B2 no less) that works to avoid the build-up of eddy currents and turbulence at the mouth of the port that can affect the performance as this builds up. PMC has been attending to similar matters with their Laminair system and there does genuinely seem to be considerable benefit to doing so. The cabinet that houses all of this applied cleverness is a solid MDF affair that makes use of curved edges to reduce the effect of standing waves through the reduction of parallel surfaces. There is no provision for bi-wiring and instead you get a solid pair of binding posts on the back that should accept pretty much any type of cable with any type of termination. Magnetic grilles are supplied should you wish to use them and the cabinet is largely free of adornment or frippery. The Revel is not an easy product to photograph - not least because like most piano finish products, it is both enormously reflective and capable of retaining fingerprint smears seemingly forever. It is however a member of the notorious category of ‘things that look better in the flesh.’ You’ll have to take my work for this but sat on a stand in most rooms, this is a handsome and appealing speaker. It does without some of the fussiness that can affect some American designs and the result is a pleasantly understated object that should work well in a variety of spaces. It also feels extremely well made. The £1,000 speaker category has some very nicely made speakers in it but the M16 is the easy equal of anything I’ve seen recently. Everything on it, both cosmetic and mechanical comes across as carefully designed and thought out. As each speaker tips the scales at eight kilos, you can probably work out that they feel fairly hefty. 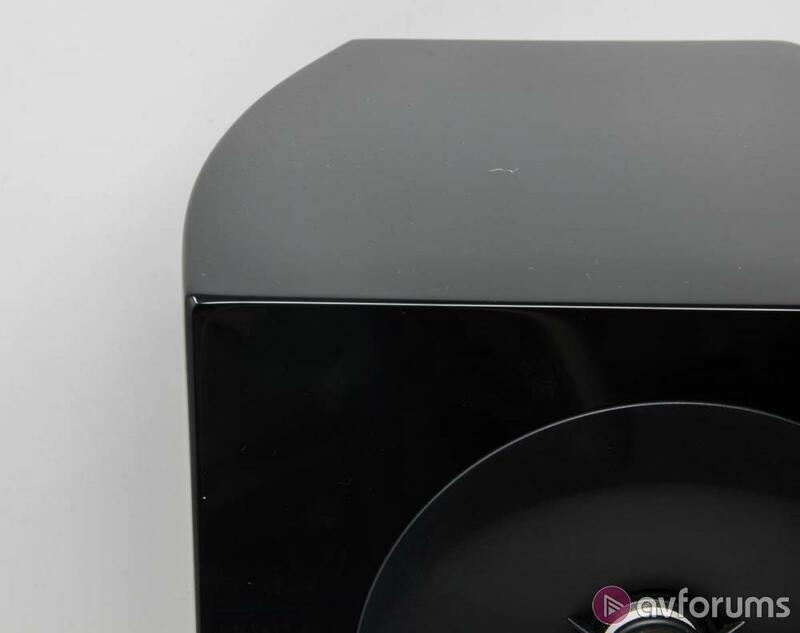 As well as the black finish seen here, white is also available which, as a fair amount of black detailing remains on the speakers, also looks pretty good. The Revels were placed on a pair of Soundstyle Z60 stands and run via both a Naim Uniti Nova and Naim Supernait 2, with assistance from a Leema Elements Streamer and Michell Gyrodec with SME M2-9 cartridge and Goldring Ethos moving coil cartridge running into a Cyrus Phono Signature phono stage. All equipment was connected to an IsoTek Evo 3 Aquarius mains conditioner and used a Melco N1A as a server. Material used has included FLAC and AIFF, some DSD, Tidal, Deezer, Qobuz and some vinyl. It is fairly unusual to have a product turn up and me to have no real idea how it will sound. My exposure to other Revel speakers has not been extensive and has occurred mainly with rather more expensive members of the range in turn being powered by some very serious pieces of kit indeed. The M16, costs a tenth as much as the last Revel I listened to and much as I don’t think the equipment I have to hand is shabby, it also costs a great deal less than the Levinson gear it was running off. The reality is wholly positive though. The M16 impressed out of the box and with some more hours on them, they’ve really only improved. In one very important way, this is immediately identifiable as an American speaker. The M16 is big and confident in the way it approaches everything it plays but this is done in a commendably subtle way. When you listen to something like Biosphere’s Substrata, which is at once large scale and also impressively intimate, oscillating between these two extremes, often very swiftly. The Revel is utterly at home at both ends of the scale. It doesn’t impart scale where it shouldn’t be present and delivers it when it should. And the more scale you request from the Revel, the better it gets. First, and most critically, the bass response from that big 6.5 inch driver is very good. Revel quotes a figure of 55Hz at a +/- 3dB roll off going to 45Hz at -10dB but thanks to the extremely benign behaviour of that bass port, this doesn’t tell the whole story. You can place the M16 relatively close to a rear wall with little discernible sense of chuff or boom and the result is that the 45Hz figure becomes something you can hit with far less than 10dB of roll off. 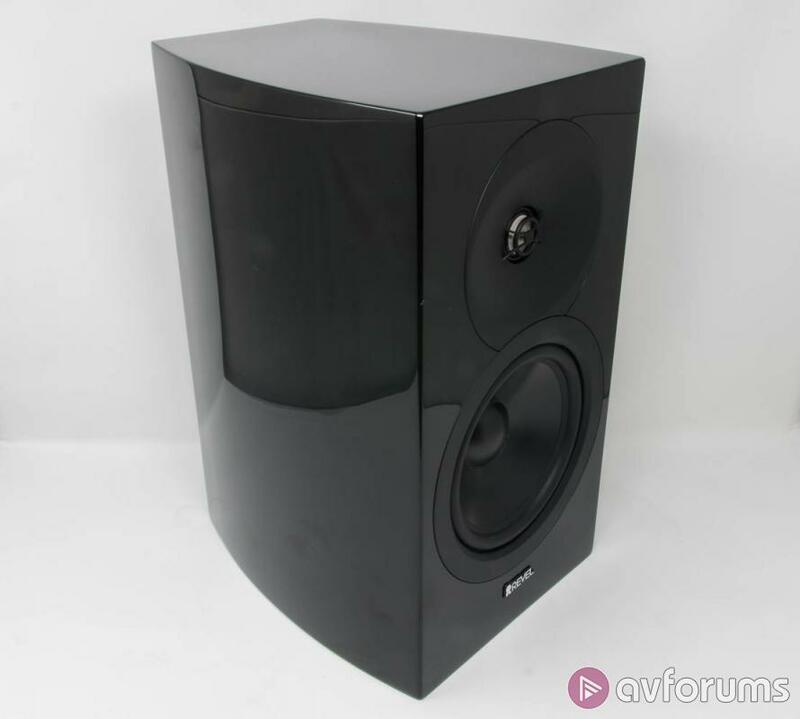 The challenging low end notes of Emily King’s Scenery have real weight and texture to them and, more often than not, the experience that results is more akin to listening to a well sorted slimline floorstander than it is a standmount - even a big one. What further helps this is that the M16 is not a tricky speaker to drive. Again, the figures that Revel quotes are nothing out of the ordinary - 6 ohms impedance and 86dB sensitivity - but the M16 realy doesn’t need a huge amount of power to hit some impressive SPL levels. It is worth noting that this isn’t directly interchangeable with the idea that the Revel will work on the end of anything that can muster 30 watts because that isn’t strictly correct. 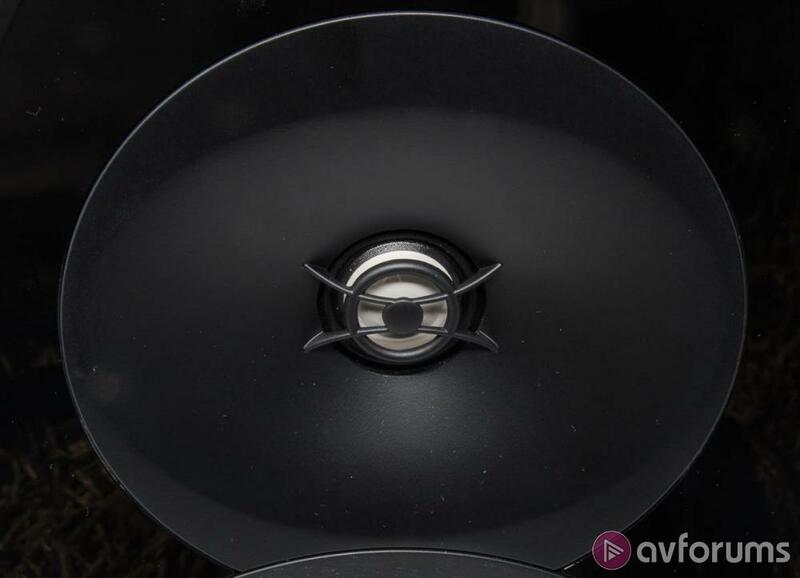 This is a fairly revealing speaker and if there are issues further up the signal path, it will tell you about them, but it doesn’t need a huge number of watts, just ones of decent quality. The real party piece of the M16 can be found higher up the frequency response though. It is impossible to separate the activities of the tweeter and the waveguide as you can’t turn one off and listen to the other in isolation but the net result is that the M16 has a truly fabulous top end. The Naim equipment that I habitually use doesn’t place a huge emphasis on the idea of soundstage. It works on delivering a stereo image that the speakers can then attempt to render three dimensional. This works for me in a review sense because it allows you to discover when a speaker really excels and this the case here. With a slight toe-in applied, the Revel simply vanishes into a wholly convincing sonic space that has both appreciable width and depth to it. Something like Air’s Talkie Walkie which is all about these sonic spaces is a genuinely invigorating listen as a result. Listen further to material like this and the ‘fingerprint’ of the Revel’s aluminium drivers does make itself felt in some aspects of the tonality. Compared to my resident Acoustic Energy AE1 Classics that really do have a ‘metal’ signature to their performance, it is benign but it is there nonetheless. 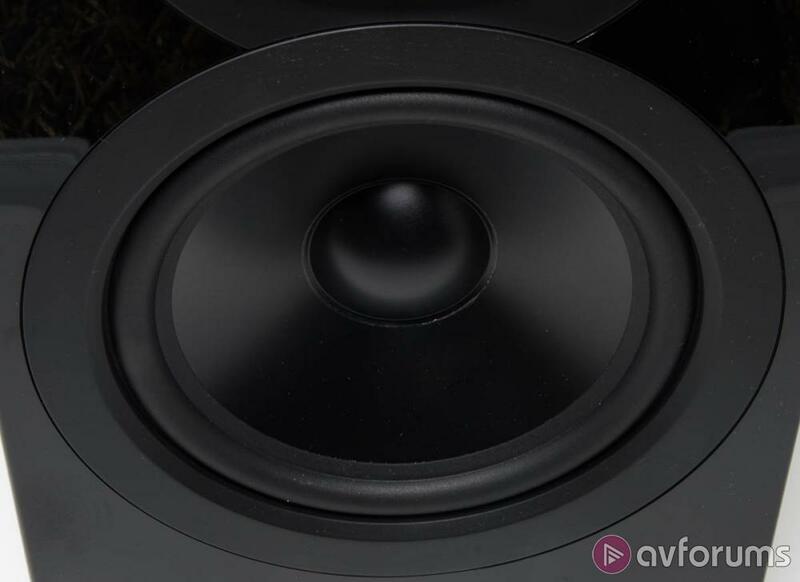 Listening to the Revel side by side with the Spendor A1 - still one of the most affordable speakers to offer a genuinely ‘Monitor’ performance from 100Hz and up - and the Revel can’t match the effortlessly ‘right’ sense of tonal realism that the Spendor can. How much this is going to bother you is somewhat subjective - I could happily live with it and I suspect that most people could too. I’d be prepared to make allowances in part because this is an uncommonly effortless speaker, especially when you are running at higher volume levels. I’ve been enjoying Five, the latest album from the White Lies, a great deal recently and this is a piece of music that benefits from a bit of welly to it. The Revel, franky, revels in being asked to deliver a bit of volume. It never seems to harden up or become overly congested and there aren’t many two way standmounts at this price that can keep up with the M16’s ability to deliver on loud. For many people unfortunately, the ability to let it loose will be curtailed but if you can, it will deliver with impressive effect. You don’t need me to tell you that your choices of speaker at this price point are considerable. Even if you limit yourself to the output of British brands, there is a very healthy array of choice. Widening the national spread only makes this more complex. At the moment, Revel doesn’t have much of a profile in the UK but I think this might be something that is going to change. The M16, more than anything else, is a really, really good listen. It will handle a wide selection of genres and scales and deliver all of them with conviction, clarity and clout. This is an extremely capable and enjoyable speaker that earns our enthusiastic Recommendation. Write your Revel Concerta2 M16 Hi-Fi Speaker review.